Our Youth Violence Intervention Programme runs in hospital emergency departments in partnership with the major trauma network. There, our innovative service aims to reduce serious youth violence, and has revolutionised the support available to young victims of violence. Every year thousands of young people aged 11 – 24 come through hospital doors as victims of assault and exploitation. It is then, at this time of crisis, that our youth workers utilise their unique position embedded in the emergency departments alongside clinical staff, to engage these young victims. Our extensive experience tells us that this moment of vulnerability, the ‘Teachable Moment’, when young people are out of their comfort zone, alienated from their peers, and often coming to terms with the effects of injury, is a time of change. In this moment many are more able than ever to question what behaviour and choices have led them to this hospital bed and, with specialist youth worker support, pursue change they haven’t felt able to before. We focus on this moment and encourage and support young people in making healthy choices and positive plans to disrupt the cruel cycle of violence that can too easily lead to re-attendance, re-injury, and devastated communities. Redthread’s Youth Violence Intervention Programme was incepted over ten years ago in partnership with King’s College Hospital in Lambeth, the MTC for South East London, Kent and Medway, where the programme is now run by five full-time members of staff. King’s commitment to the community it serves, alongside their belief and enthusiasm in the core messages of Redthread’s philosophy has been central to the Programme’s success and development. Here’s to the next ten years! In October 2014, St Mary’s became the second hospital to join our programme. By opening its doors to us the Major Trauma Centre, which covers the North West quadrant of London, has made it possible for us to reach out to hundreds more vulnerable young people in the Teachable Moment every year, and steered Redthread into becoming a pan-London organisation. The programme was rolled out at St George’s Hospital in April 2015. Staff and patients alike have been quick to take to Redthread and the programme, and our youth workers were greeted with great enthusiasm and support from day one. Located in Tooting, St George’s is the MTC for South West London and is perfectly placed to collaborate with the team at King’s, and to make use of the variety of services our Well Centre can offer young people. The Royal London is the MTC which covers the North East quadrant of London and, since April 2015, has hosted the Youth Violence Intervention Programme in partnership with St Giles Trust. As of February 2018 our Youth Violence Intervention Programme launched in Queen’s Medical Centre in Nottingham. QMC hosts the East Midlands Major Trauma Centre and was opened in 2012. In July 2018 we launched in two hospitals in Birmingham – Queen Elizabeth Hospital and Heartlands Hospital. Both Nottingham and Birmingham are part of a three year Midlands pilot. When young people told us that accessing everyday health provisions was often complicated by practical issues and concerns regarding social stigma, Redthread listened. When young people told us that accessing everyday health provisions was often complicated by practical issues and concerns regarding social stigma, Redthread listened. In 2011, in partnership with Dr Stephanie Lamb, the Well Centre model was born. This is the site of our first youth health hub. In partnership with Herne Hill Group Practice, the Well Centre provides young people, aged 13-20, with drop in access to GPs, CAMHS counsellors, and Redthread’s experienced team of specialist youth workers. Whether in crisis or wanting a chat over a hot chocolate, young people have a safe place to raise their concerns and receive helpful and appropriate support and advice. 98% of young people who have visited the Well Centre say they would recommend it to their friends. For more information visit http://www.thewellcentre.org. Personal, Social and Health Education (PSHE) is not currently a statutory part of the curriculum, and as a result, there are no concrete rules outlining what young people should and should not be taught. Redthread’s education work centres around promoting the importance of this discipline. We collaborate with others to discuss topics that are most beneficial to teenagers, and empower students by delivering workshops, assemblies, and confidential drop-in sessions. Evidence suggests that young people living with type 1 diabetes often struggle with the management of their illness. Not only are they faced with the usual trials and tribulations of being young, but have a long-term serious health condition to contend with too. Our diabetes work was founded in response to this problem, as part of our Well Centre model, and our diabetes youth worker promotes health management in partnership with King’s Health Partners at Guys and St Thomas’ and King’s College Hospital. The Redthread Youth Panel is a group of 15-20-year-olds who provide a youth-focused perspective on Redthread’s approach, and help develop our services, all whilst gaining training in health promotion and professional skills. We believe in the potential of young people to make changes for the better; in their lives and in their society. By empowering the Youth Panel with charity-wide decisions we hope to help them build a society that is healthier, happier, and more equal. Over the last four years, the Well Centre in Streatham has seen over twelve hundred individual young people access its services. This popularity and success has made us more confident than ever that the unique Well Centre model can be replicated effectively across London. Watch this space! KAOS (King’s Adolescent Outreach Service) is a new, unique project to improve the care of adolescents in hospital. The project was launched by King’s College Hospital doctors Simon Chapman and Hannah Baynes, in collaboration with Redthread and supported by the Children and Young People’s Health Partnership (CYPHP). The aim of the project is to identify and support adolescents aged 16-19 years who have been admitted to adult inpatient wards at King’s College Hospital. On any day, across King’s College Hospital sites, around 12 adult beds are occupied by young people aged 16 to 19. These young people have specific medical, emotional, legal and social needs. The KAOS team will help support the medical and surgical teams on adult wards to care for young people in an age appropriate way. 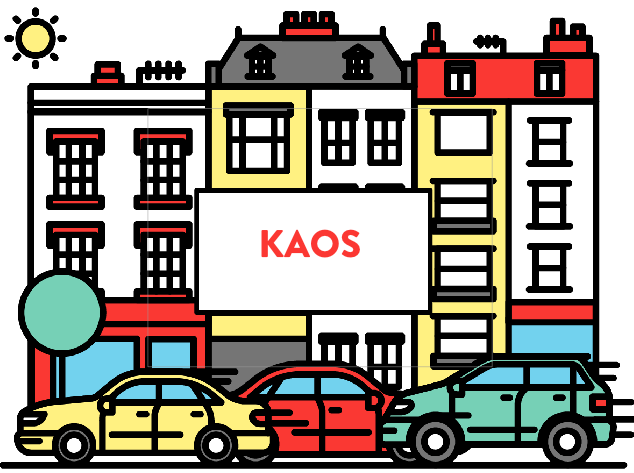 The KAOS service started in 2018 and comprises of a core team of two lead clinicians and a youth worker. The core team will draw on the expertise of a wider team of twenty health care professionals from different backgrounds, all with an interest in optimising care for young people. These include trauma surgeons, doctors with an expertise in children/adolescents, women’s health doctors, specialist nurses, sexual health professionals and other medical specialists. What does KAOS support look like? The support offered by the KAOS is different for every young person admitted to the hospital and personal to their situation; it is moulded around their health needs and wider goals. Listening and providing a non-judgemental, safe space is at the core of the KAOS programme. The KAOS youth worker makes an initial visit to the young person at their bed-side on the ward and engages them in a broad health-based conversation, touching on various issues: mental and sexual health, alcohol and drugs, diet, sleep, nutrition, social media and safety. Depending on the length of admission, the youth worker will continue to visit them, working with their families and the medical team to support their immediate care and path to recovery and discharge. At this point, the KAOS youth worker will signpost or refer young people to other internal partners or organisations working in the community. There is also the option for the young person to continue seeing the KAOS youth worker at The Well Centre in Streatham or at the Prince’s Trust in Kennington. The KAOS team consists of three core members; Dr Hannah Baynes, Dr Simon Chapman and Barney Dunn, a Redthread youth worker. The team is also supported by over 20 professionals across the King’s College Hospital site, representing a breadth of professions and specialities. Each day, the team will identify adolescent patients across the hospital, meet with these patients and work with their medical and surgical teams to ensure that their needs are being met not only physically, but also emotionally and socially. The project is part of King’s College Hospital’s wider vision to become a young person friendly hospital by improving the suitability, accessibility, quality and safety of services for young people. The ideas behind KAOS are aligned with the Children and Young People’s Health Partnership’s vision of improving everyday health care, by improving quality and age-appropriateness of care. Marc*, 16, was admitted to King’s College Hospital with severe abdominal pain and vomiting that required an operation and a three month stay in hospital. The KAOS youth worker visited him after this surgery and listened to his traumatic journey. Within this ‘teachable moment’, the two were able to talk openly about aspects of Marc’s lifestyle and his diet that were impacting his health and came up with a plan to tackle this after his discharge. The youth worker supported Marc alongside the medical and dietetic team to begin a normal diet again and Marc’s condition began to pick up. When he was discharged, Marc was signposted to the Well Centre, where he will continue to see the KAOS Youth Worker and work towards a healthier, happier and safer life. *Name and identifiable features have been changed. The Hospital-based Interrupting Violence Exchange is a national network, founded and coordinated by Redthread. The Hospital-based Interrupting Violence Exchange is a national network, founded and coordinated by Redthread. It is designed to help existing and emerging hospital-based violence intervention programmes share ideas and insights. Through HIVE, we host regular teleconferences for practitioners from different projects and different parts of the UK to talk through the opportunities and challenges posed by the unique model. We also hold an annual symposium, where all those working on the model get together to discuss the latest developments. If you would like to learn more about HIVE, please get in touch!